Although back office personnel do not interact with customers or bring in new revenue, their roles are integral to the success of the company. If they don’t do their jobs properly and efficiently, client-facing employees will struggle with theirs. Therefore, it’s imperative for businesses to streamline their back office processes. But how? The first thing you should do is define the activities involved in completing different back office processes like employee onboarding, contract approvals, and invoicing. Then, figure out how long it takes to complete each activity and who is responsible for carrying out such tasks. Doing so may reveal issues that hamper your company’s productivity, including messy filing systems, unnecessary manual processes, and poorly configured administration software. Whatever the case may be, this should help you identify which technologies and strategies would best streamline your back office. Paper is the root of many office bottlenecks. For starters, filing and retrieving stacks of documents can be tiresome, error-prone tasks that lead to service delays. Passing around paper invoices and contracts to different approval managers and employees is extremely inefficient. What’s worse, collaboration is difficult because employees need to wait for their co-workers to finish editing a document before they can apply their own changes. 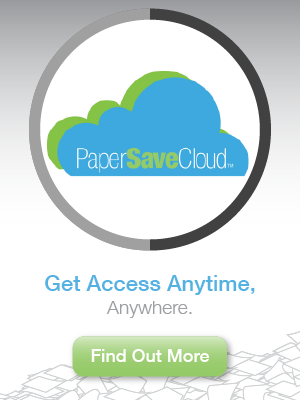 Opting for cloud-based document management systems (DMS) like PaperSaveCloud not only reduces paper usage, but also replaces paper-centric processes with faster, more efficient ones. For example, advanced document capture features instantly index scanned documents for quick and easy retrieval. In the cloud, files are centralized and accessible from any company-registered device with an internet connection, making it easier to circulate information among employees. Consolidating your enterprise software gives you better visibility over your back office systems. Instead of cross-checking customer data between multiple programs, it’s displayed clearly on a single dashboard. Software integration even lets you automate robust, multi-step workflows across the company. When you combine your DMS software and enterprise resource planning (ERP) system, for instance, you can set up a workflow that automatically redirects outstanding invoices based on the appropriate approvals manager and forwards them to payment personnel. Another great way to increase back office productivity levels is by implementing remote work arrangements. Thanks to cloud technologies and high-speed internet, your back office employees can work from anywhere they want, which means less office distractions, higher job satisfaction rates, and reduced travel costs. 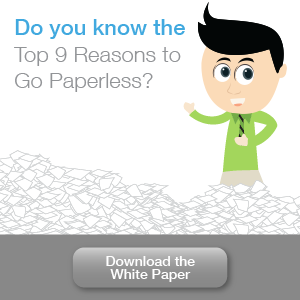 It’s important to monitor your workflows to ensure back office processes are going smoothly. By using workflow automation software, you can track work progress and identify underperforming individuals who need to be coached on best practices. You can also set instant notifications when employees have unreconciled tasks or veer off course from the usual back office workflow. Suddenly switching or implementing enhanced back office strategies is significant and must be clearly communicated with everyone in your company. This ensures managers and employees know what to expect and how to conduct their daily operations with DMS, accounting systems, and workflow automation software. It’s also a good opportunity to answer frequently asked questions and discuss how certain processes can be further improved. There’s a lot to consider with back office processes, but implementing these strategies and utilizing cutting-edge tools will ensure higher output from your employees. 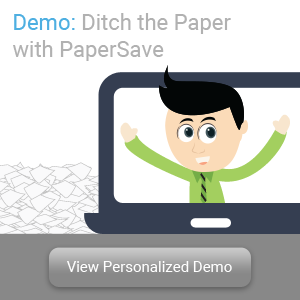 If you need world-class DMS tools that integrate with various enterprise software and come with workflow automation features, PaperSave has them. Sign up for a free personalized demo today to see what it is capable of.